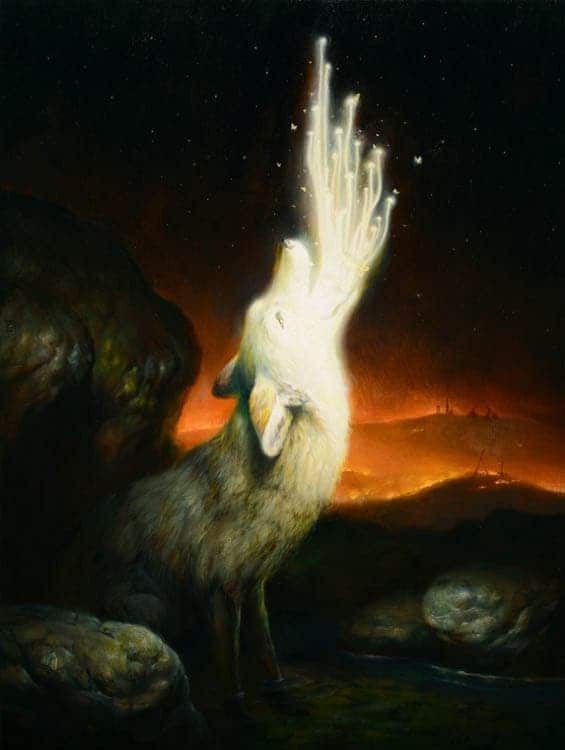 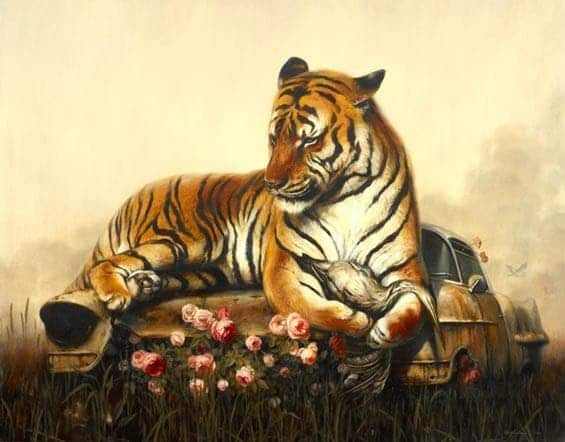 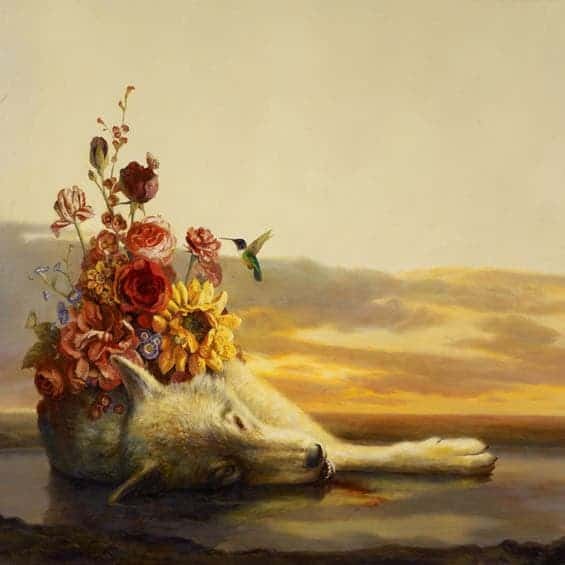 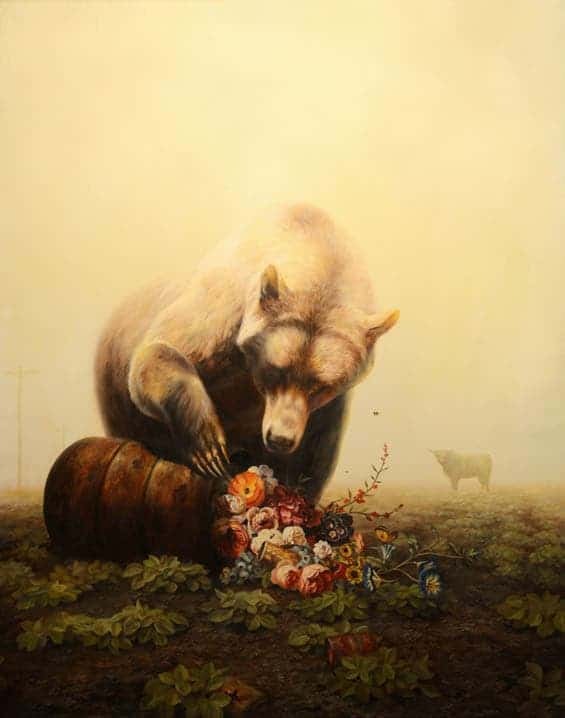 The dark paintings of Martin Wittfooth depict a beautiful yet frightening world – only animals, no humans, but with a desolate landscape likely caused by our species. 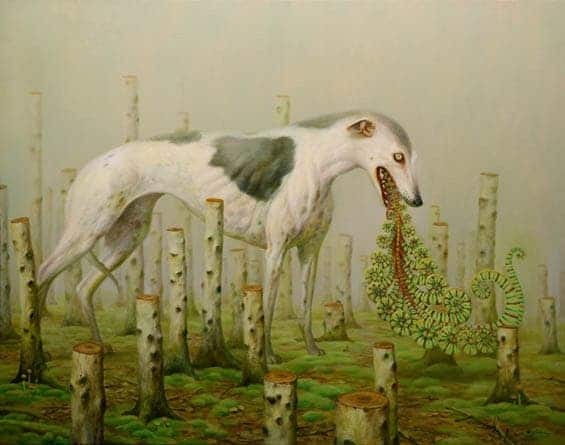 We see a world of animals suffering, desperately trying to adapt to the scorched world that we’ve created – much like we’re seeing now, in the real world. 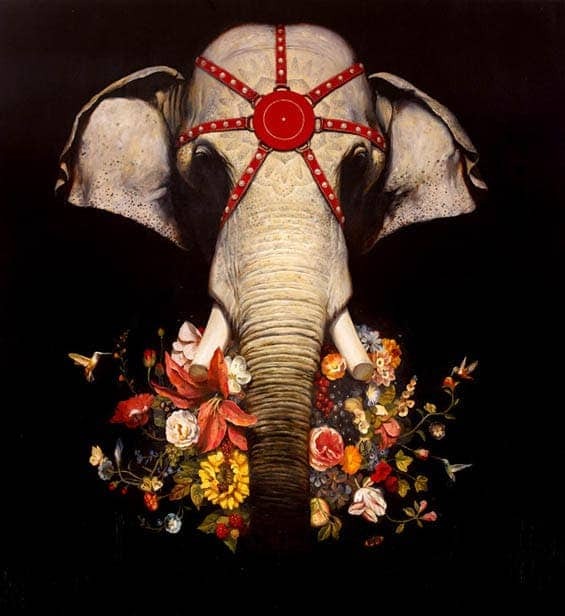 Their suffering is masked by beautifully drawn flowers or sparks – much like we, humans, are trying ignoring the damage we’re causing, hiding everything under the rug of our comfortable lives. 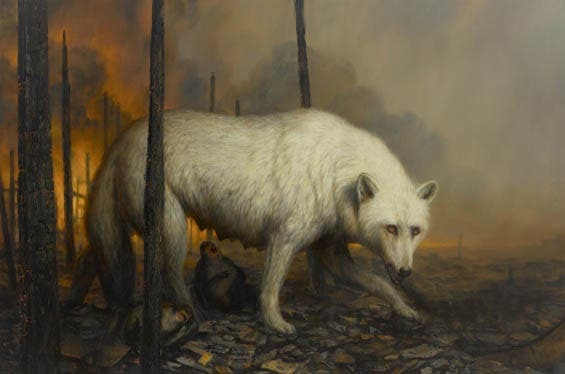 His paintings are an artistic way of depicting the consequences of global warming, pollution and habitat destruction that we are inflicting upon animals. 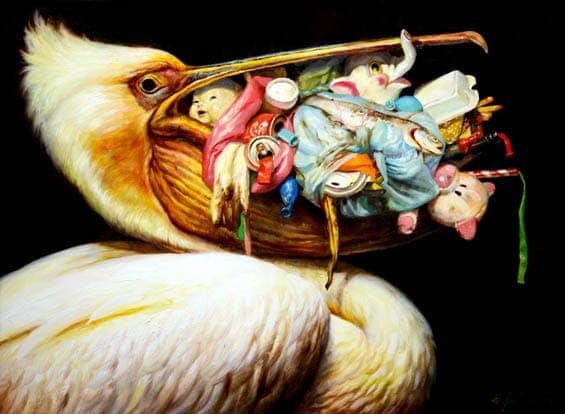 It’s not only a tragic potential future, but it’s also a cruel reminder that we are causing it now – the fact that he chose such beautiful art to depict it makes it even more cruel. 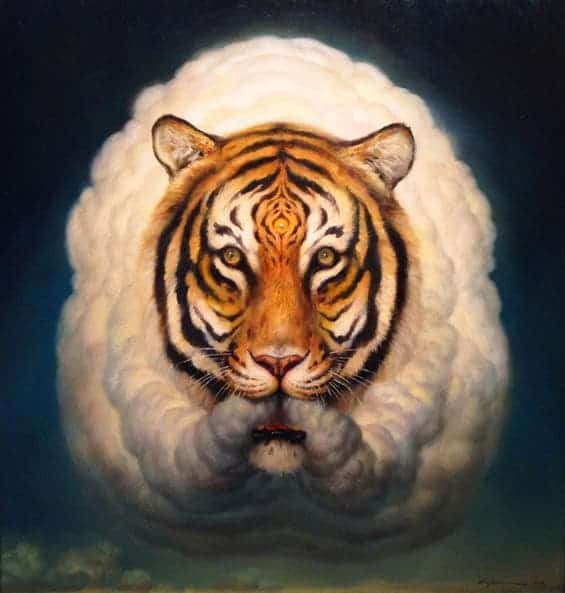 We need to acknowledge that we are doing this, and fast – it’s the only way to actually convince people to act and conserve what can be conserved.